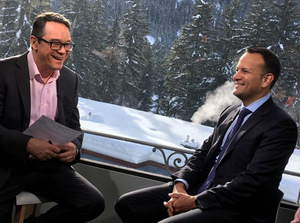 Leo Varadkar and EU chiefs have given Theresa May two more months to come up with a Brexit solution or face getting turfed out of Europe with no deal. This would be disastrous for both Ireland and the UK and would almost certainly see the return of a hard border between North and South. However, the 27 remaining EU heads of State on Wednesday were supportive of Ms May in her efforts. 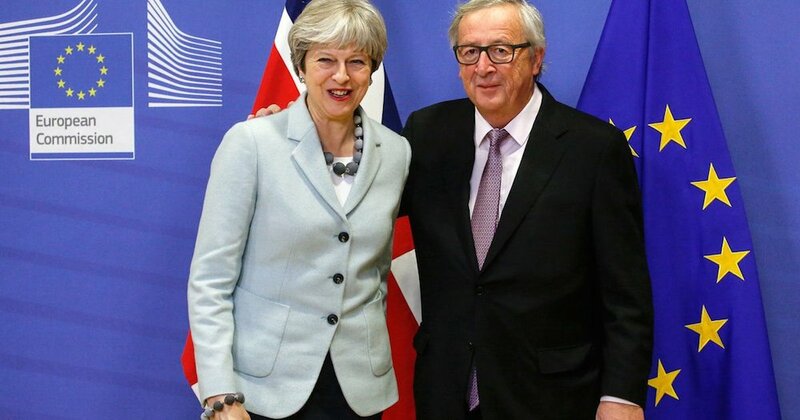 Ms May will have to come forward with fresh proposals at the next summit in mid-December outlining the British position ahead of formal Brexit in March. 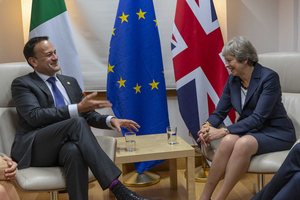 …the Prime Minister acknowledges the European Union’s backstop drafted in the December withdrawal agreement can not feature an end date. 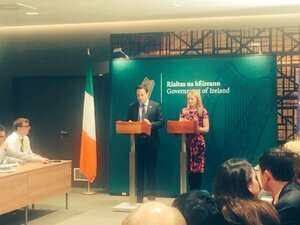 Mr Varadkar did, however, move to offer the Prime Minister an opportunity to make the backstop more palatable in Westminster by using creative wording. 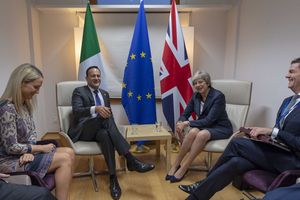 Posted in Misc and tagged Brexit, Leo Varadkar, Theresa May at 1:10 pm on October 18, 2018 by Bodger. You’ll be hearing a lot of that over the next few days,I vouchsafe. Creative wording? A bit like Noonan and Daffy’s creative accounting. 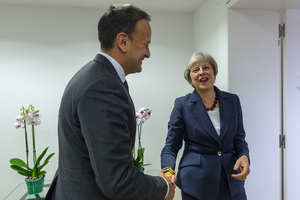 He basically has given May permission to dilute an ‘agreement’ into words that will mean one thing to the Brexiteers, another to the DUP, another to the EU and an ‘out’ for Varadkar. What a ploy by the boy. We’re gradually moving into the area of the classic EU last minute fudge where everyone can claim victory. we’re heading for a labour government and a proper socialist utopia ollie. you’d better take your few quid and invest outside the uk like the rest of your tory chums did. i hope you didn’t give your eastern european gardner the code to the electric gates? Careful now, Mrs. Pinker Salmons will give out if you don’t leave poor charger alone. Maybe the real reason why this British government is getting the defibrillator from the EU is because a relatively hard left government in Britain would kick off something on the mainland. And no mention of an extension? It’s like a game of twister. It was Mini-Minister McEntee who came up with the term ‘backstop’ as applied to Brexit. The “creative wording” thing is not new. 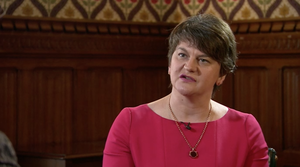 When last we heard talk of diluting the backstop it was the EU allowing the Sasamachs to say the same thing in different words to fool the idiot hardliners. No border or no deal. It’s that simple. Anyone else notice the body language? 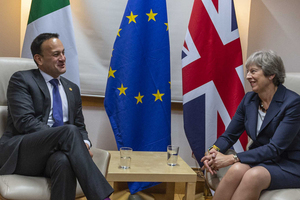 That’s a Taoiseach and a British PM – never seen that before! !